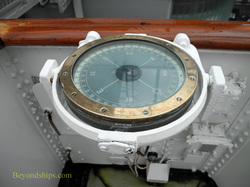 Britannia's command and control center was the Bridge. However, unlike most modern ships, the yacht was not steered from the bridge. 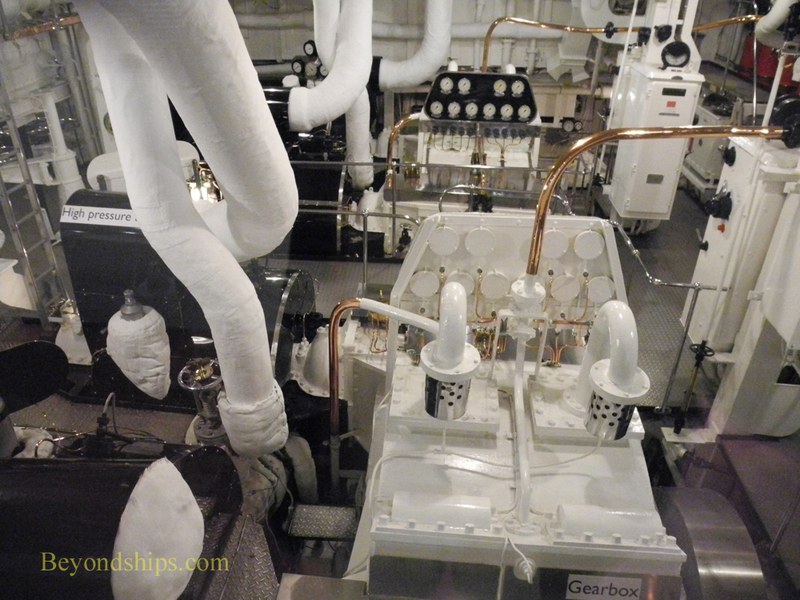 Rather, commands had to be called down through metal pipes to a helmsman located in the Wheelhouse one deck below. 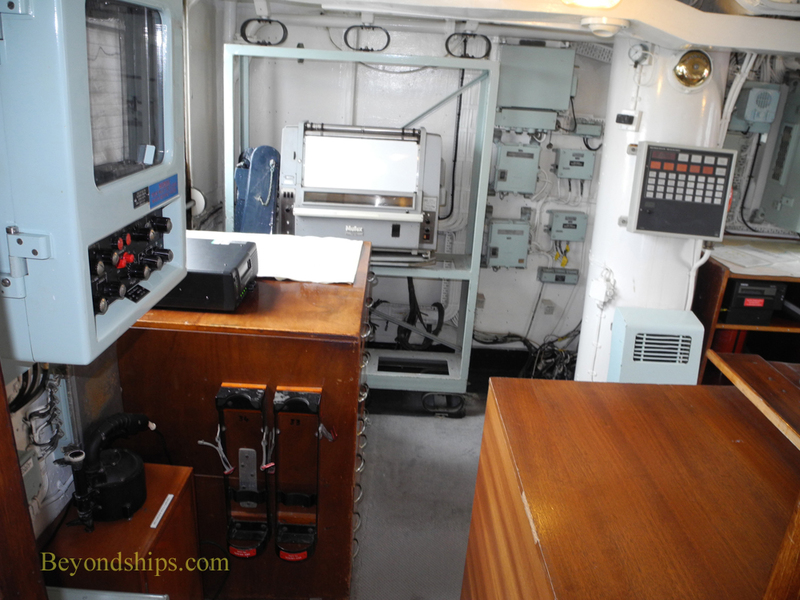 Considering that Britannia remained in service until the late 1990s and considering her mission, the state of her bridge technology is surprising. Britannia's engine plant is unchanged since the 1950s. She is a steam ship. A pair of Foster Wheeler boilers burned diesel oil (prior to 1983, they burned furnace oil) that created steam. 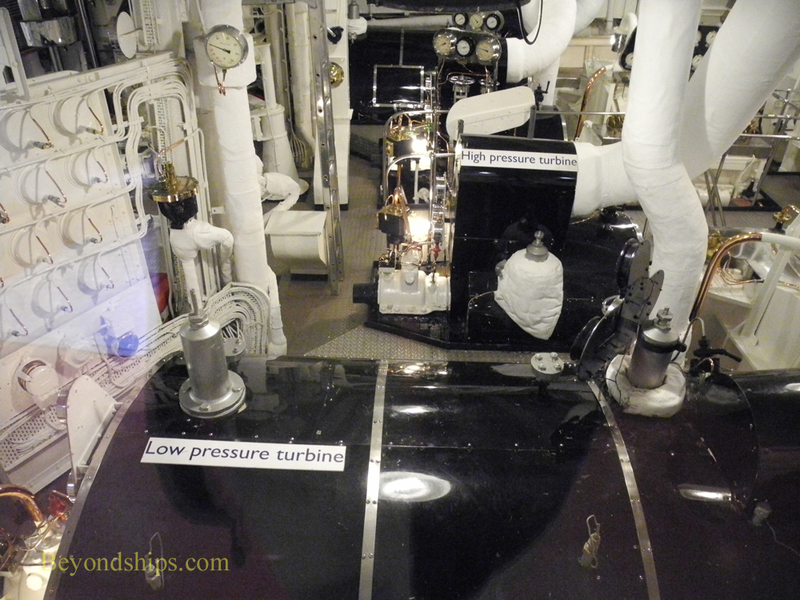 The steam went to two turbine engines, which could develop 12,000 horse power. Her power then went via a gearbox to turn her two propeller shafts. Britannia could do 22.5 knots. 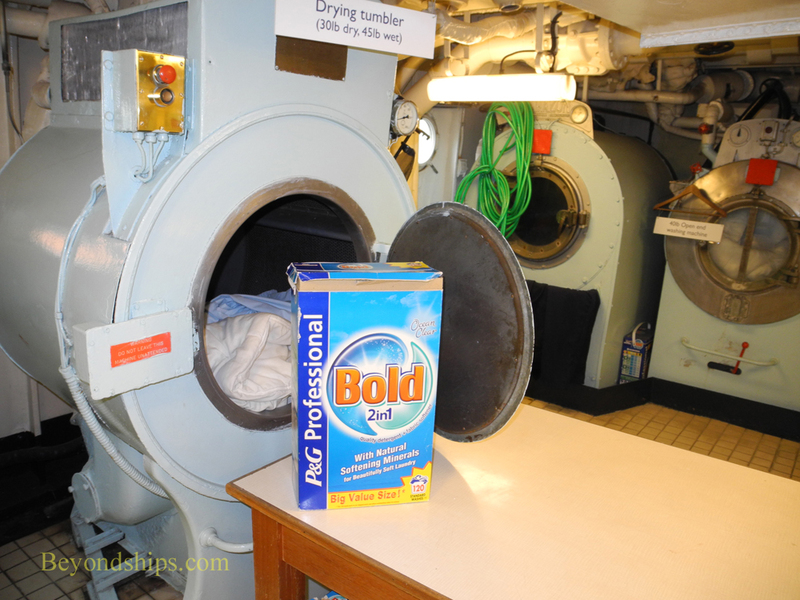 With official ceremonies requiring numerous changes of clothing by the Royal Family, the Royal Household staff and the uniformed personnel, Britannia had to have a large laundry. 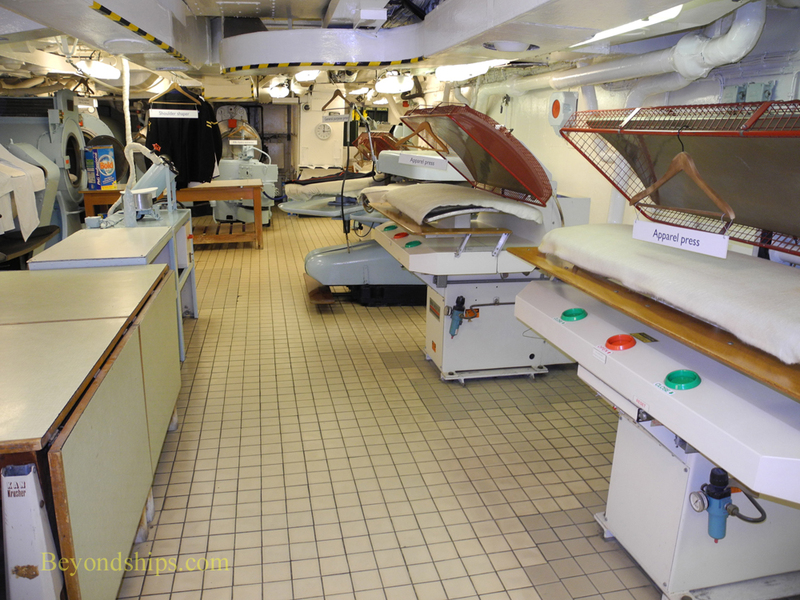 But since temperatures in the laundry could reach 120 degrees (F), working there was not easy duty. 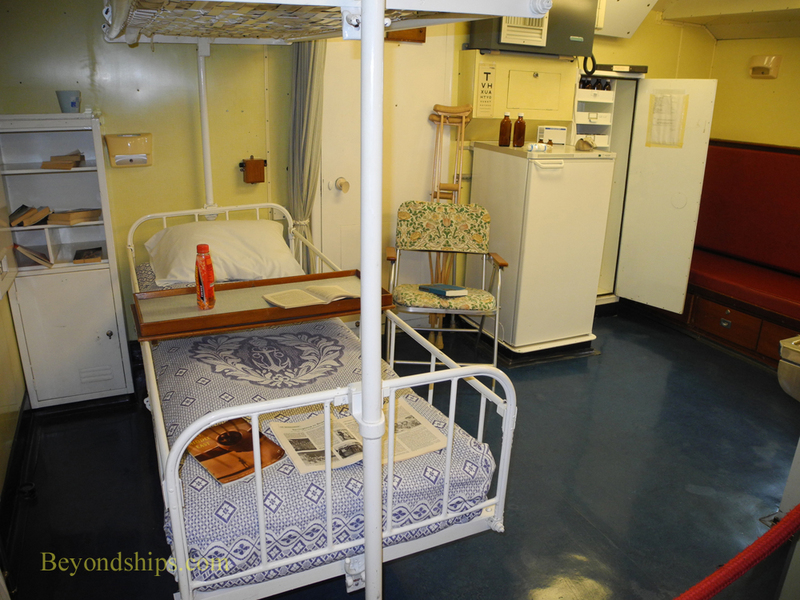 Britannia was designed so that she could be converted into a military hospital ship should the need arise. She was never used as such but some of her hospital facilities remain. 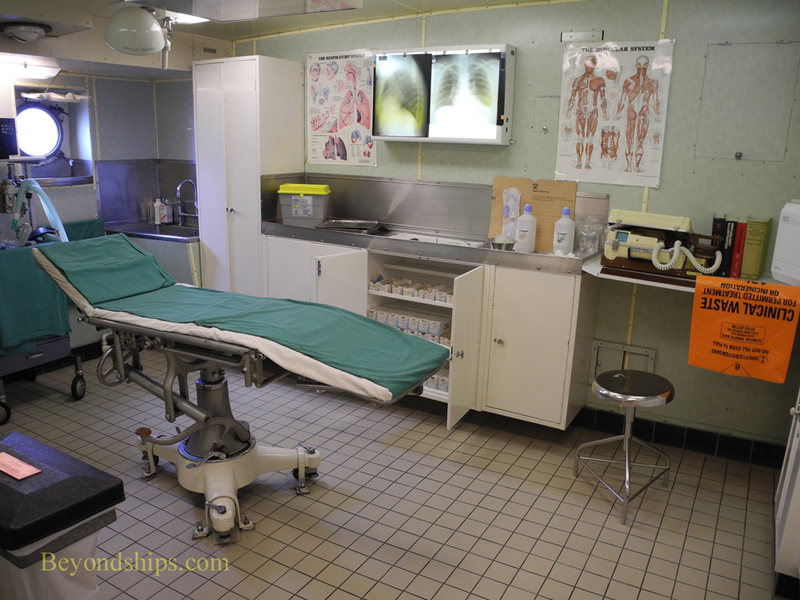 Her sick bay includes a consulting room, a hospital ward and an operating theater. The ship's doctor only took care of the officers and crew. A Royal Physician would look after the Royals. 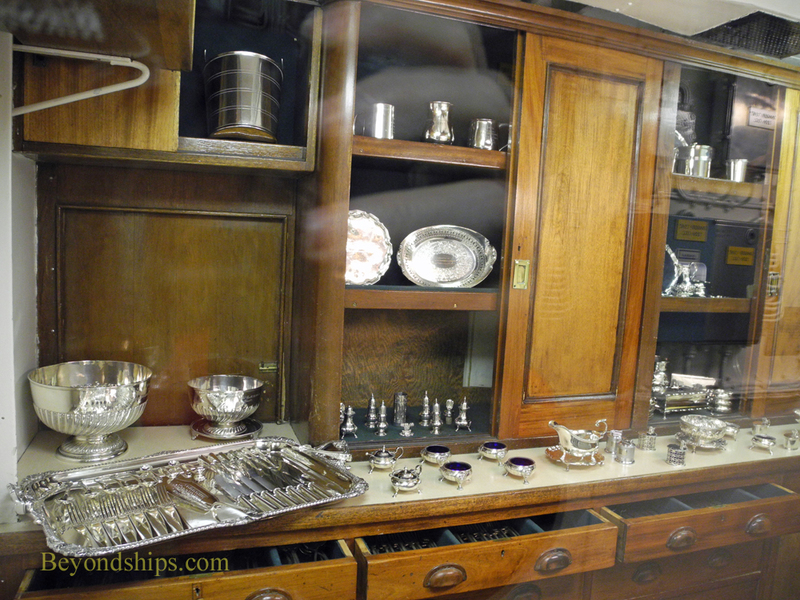 In order to host state banquets, Britannia had to have places to cook the food, prepare the dishes and house the silver. 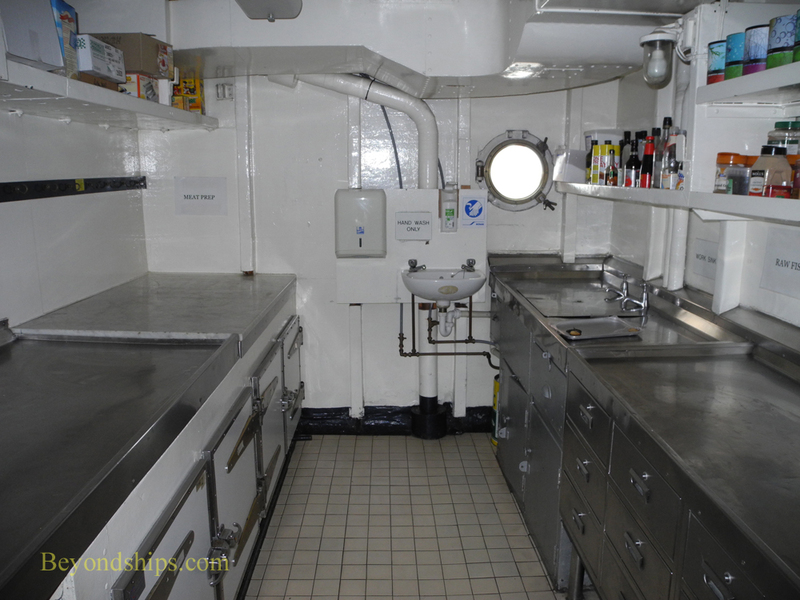 She also had to have galleys and pantries for the various dining rooms used by the officers and crew.